Use team work and build geography skills! Your group will use team work and build geography skills while playing a variety of games and activities like “Team Map Maze”, “Name the State”, and “Name the Capital” on the huge 7’ x 11’ map of the US with state outlines and capital locations. 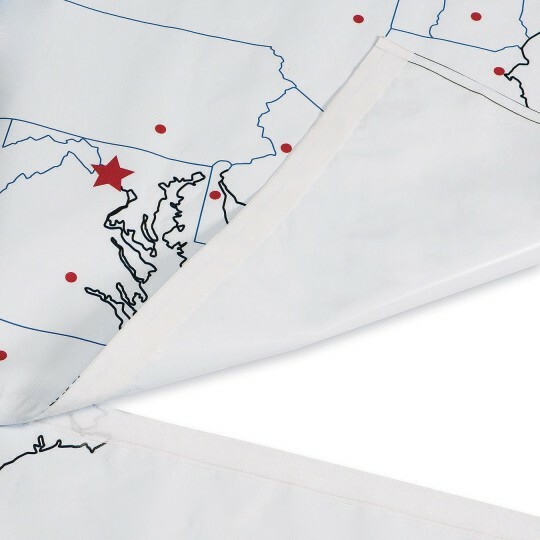 Map is printed on two sections of durable PVC mat material with sewn perimeter and a hook and loop connection down the middle. 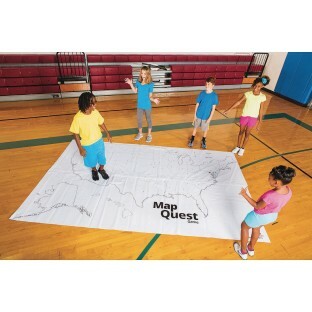 Includes map and activity guide.